Seriously, this is a great looking bobblehead. 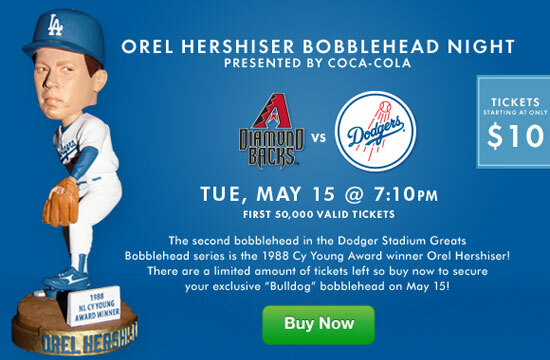 That's Orel Hershiser! Plenty of tickets available.